Back to amaranth flour. It is gluten-free as it is not wheat and is produced from amaranth grain. It has a smell of grass and raw carrots. The formula in MC’s blog was suggested by Safa Hamzé who was the instructor the SFBI workshop and has developed techniques working with whole grains. You can find some of the information in an article in “Whole Grain Mania” in Baking Management. Hence this bread is made of 20% amaranth starter. The starter smelt less “grassy” when ripen but did not smell as sweet as starter made of wheat.There was no amaranth flour in the final dough and so overall amaranth flour was abot 9%. 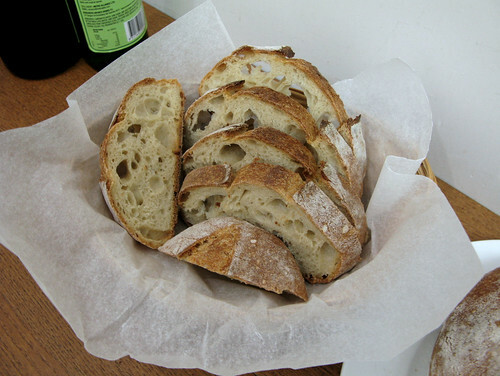 When baking the bread gained color pretty quickly and turned into beautiful reddish-brown. Safa mentioned in the Baking Management article that amaranth kept moisture well which I agree from my result this time. 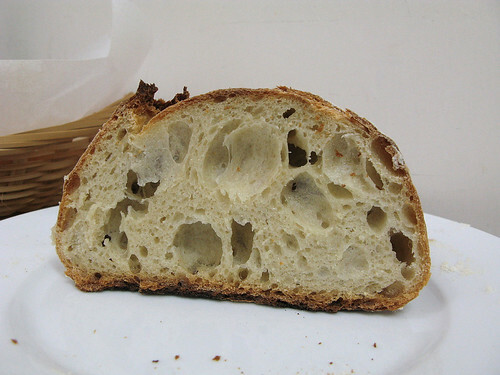 The crumb of my bread was nicely moist and did not stale as quickly on the next day. The crumb was also open and color was yellower. However I could not taste the slight lactic flavor as mentioned in the article. I could not taste the “grassy” flavor from the amaranth neither. I am happy with the result of this time and agree with Safa that bakers can consider adding amaranth flour to their breads in order to help extending shelf life of the bread. Safa has suggested overall gluten free flour should remain under 15% in overall formulation, and I will try playing around with 15% of amaranth flour next time. *I baked at 220C for first 25mins, the bread gained much color that time. Then I lowered to 200C for another 10mins, and kept the bread in oven for another 5 mins with oven turned off. 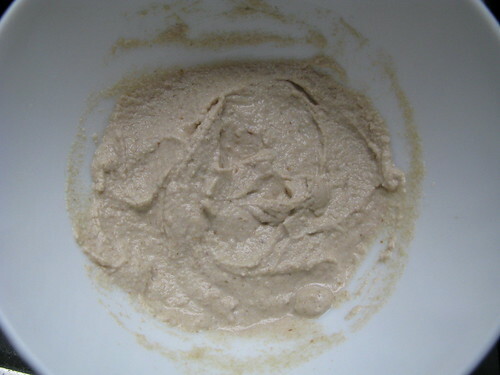 Thank you for writing up your experiences of making amaranth sourdough – I’ve come across numerous references to it and was rather curious as to what non-gluten-free bakers would think of it. The crumb looks good and I’m eager to learn at first hand what the reddish-brown crust looks like so much slot it into my baking schedule. I must confess I’ve never baked with it.. though I have heard it mentioned.Oh and I am a big fan of Farine too. I love the videos she posts. You learn something every time you visit her blog. This is interesting! Did you buy the flour in CC Super? Also, thanks for your sharing of SFBI! Coz I should be in San Francisco later for a work trip. 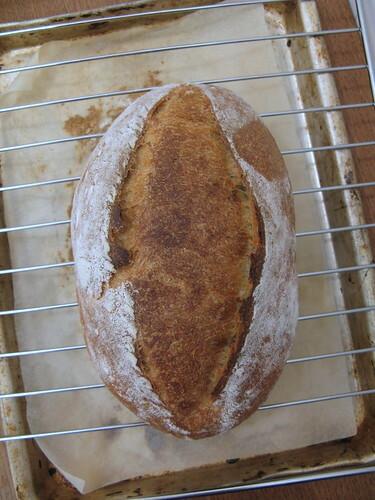 Beautiful bread… You got a fantastic crumb. Honestly I didn’t see better at SFBI. Congratulations and thanks for the very nice comments on Farine! Amaranth flakes, sounds interesting!! Is it cereal? Good morning Nat, Joanna and everyone. I have the other half of Joanna’s bag of amaranth. And will report back how I get on. Nice to see something that captures the interest so on a blog. 🙂 Let us know how it turns out! 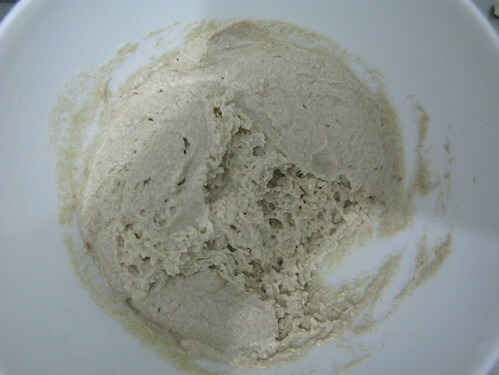 Amaranth Flour are used in many ways to make a many different tasty thing as per the requirements of the peoples thanks to the Bob’s Red Mill who make it possible.